Please join us for a summer solstice celebration on the longest day of the year. We will follow the celebration with a fire on the beach and food to share. 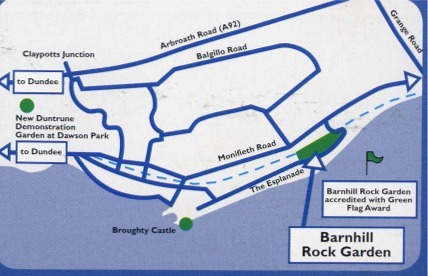 The Park is located approximately one mile east of Broughty Ferry, parallel to the A930 Dalhousie Road. It is well-served by public transport, and on-street parking is available on the Esplanade adjacent to the Garden.